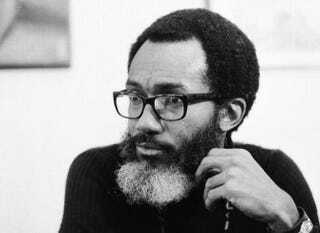 Revered Chicago novelist Sam Greenlee has died in his home city at the age of 83, the Associated Press reports. Greenlee, who was also known for his poetry, is best-identified through his 1969 work, The Spook Who Sat by the Door, which tells the story of a black CIA agent who trains young black Chicagoans for a rebellion. According to AP, Greenlee died early Monday. He was one of the first black Americans to join the U.S. foreign service, working for the U.S. Information Agency for almost a decade while serving abroad in various locations such as Iraq and Greece. According to the Chicago Tribune, there will be a memorial at the DuSable Museum of African American History early next month. Read more at the Associated Press and the Chicago Tribune.